In what has been an interesting and telling season for the Buckeyes, the battle for the conference championship at Lucas Oil Stadium is nearly here. An undefeated and dangerous Wisconsin Badgers team will face a 10-2 Ohio State Buckeyes squad that is coming off of a comeback win against their archrival that almost cost JT Barrett. Both teams still have a lot to play for, and both of them will come focused and motivated when they face off. Wisconsin is searching for their 3rd conference title and Ohio State is hoping for their 2nd. Both of these teams are at .500 in the conference title game, Wisconsin 2-2 while Ohio State is 1-1. Between the two, the Buckeyes hold a win against the Badgers as they beat them 59-0, and the Badgers haven’t forgotten. Wisconsin and Hornibrook have bullied teams with their bruising running game. True Freshman Jonathan Taylor is leading his team with 1806 yards on the ground with 13 TDs as the Badgers are ranked 18th in the nation in rushing offense averaging 243.3 YPG. They also have a star at the TE position in Troy Fumugali who was a matchup nightmare for the Buckeyes that is 42nd in the nation averaging 426.0 YPG. Ohio State is led by JT Barrett and a pair of talented RBs, JK Dobbins and Mike Weber. Together, along with Zone 6, they are ranked as the 4th best team in total offense that is averaging 529.8 YPG. Barrett, Dobbins, and Weber account for 60 of the 105 TD’s that Ohio State has scored so balance among the many weapons on this stacked Buckeye team needs to be maintained to be successful and unpredictable. 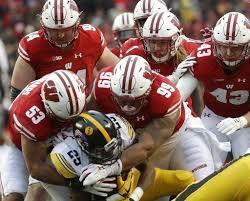 The Badger defense is also stout and they are capable of turning the ball over and turning it into points. They are ranked 2nd in the nation, behind only Alabama in defensive TDs and scoring defense, scoring 5 TDs and surrendering 12.0 PPG respectively. Their strength is their defense, where they are #1 in the nation, giving up 236.9 YPG, #2 overall with 156.4 YPG through the air and 80.5 on the ground and they are also 8th in team sacks with 3.25 per game and 39 total, which does not bode well for the Buckeyes and their Offensive Line. The Buckeyes are a capable team, also with a stout and suffocating defense. They are 8th in scoring defense, giving up 291.8 YPG, #15 in passing defense with 179.0 YPG, and #13 in rushing defense with 112.8 YPG. They are 20th in the nation surrendering 19.8 PPG and this group of defenders in 19th in the nation in team sacks, putting the opposing QB’s down 34 total times, while they average 2.83 per game. I am no rocket scientist, but the circumstances around the Ohio State sidelines were shady at best given the magnitude of The Game and what was at stake for either team, bragging rights. With Ohio State defeating Michigan five straight years and looking to earn their 6th, any devoted fan would be desperate to inflict injury on a star player to prevent the streak from continuing. Luckily for the Buckeyes, it was not a serious issue and it has been an on-going issue for him the entire season. 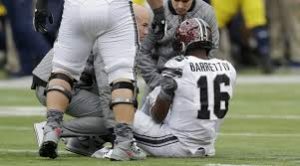 Now, Barrett is probable for the big game at Indy, but the staff will be cautious as they give Barrett and Haskins some reps just in case. With both teams vying for a spot in the CFB Playoffs this game will have the drama and suspense that people crave will draw people across the nation to witness this. 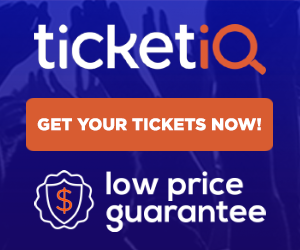 As it currently stands, Ohio State’s on-field product remains among the best in the country and a Big Ten Championship Game matchup with the Wisconsin Badgers will likely have the Buckeyes favored by the displayed sportsbooks at mytopsportsbooks.com. Even if favored, this will not be an easy task to accomplish and a repeat of the last conference title game between the two is unrealistic at this point. Both teams will come to play and they will play harder than they ever had to this Saturday. With the status of Barrett and the potential of Haskins getting the starting nod, I believe that it’ll be close. Whoever starts, each would struggle. Wisconsin will have answers for everything Ohio State has in store for their opponent, but a late score will secure a win. 21-28 Ohio State defeats Wisconsin.